Since its inception in 2005, the peer-to-peer lending (P2P) sector has propelled towards the economic and investment mainstream, especially so since the economic downturn of 2008. As Bank of England rates have plummeted, returns on savings followed suit, while the stock market and other higher-risk investments have been characterised largely by volatility ever since. Annuities have also offered pensioners short shrift, with rates continuing to tumble to record lows. All in all, this created a vacuum for good-value investment opportunities offering stable returns. P2P lending has certainly stepped up to the plate in this regard, and recognition of this upward trajectory has come in the form of the Innovative Finance ISA. An Innovative Finance ISA – often referred to as a peer-to-peer ISA, a peer-to-peer lending ISA or an IFISA – is a relatively new form of Individual Savings Account (ISA), which allows UK consumers to benefit from tax-free interest on their peer-to-peer loans. It is a standalone category of ISA, which is generally accepted to sit somewhere between a cash ISA and a stocks & shares ISA in terms of risk and reward. Which providers are able to offer IFISAs? 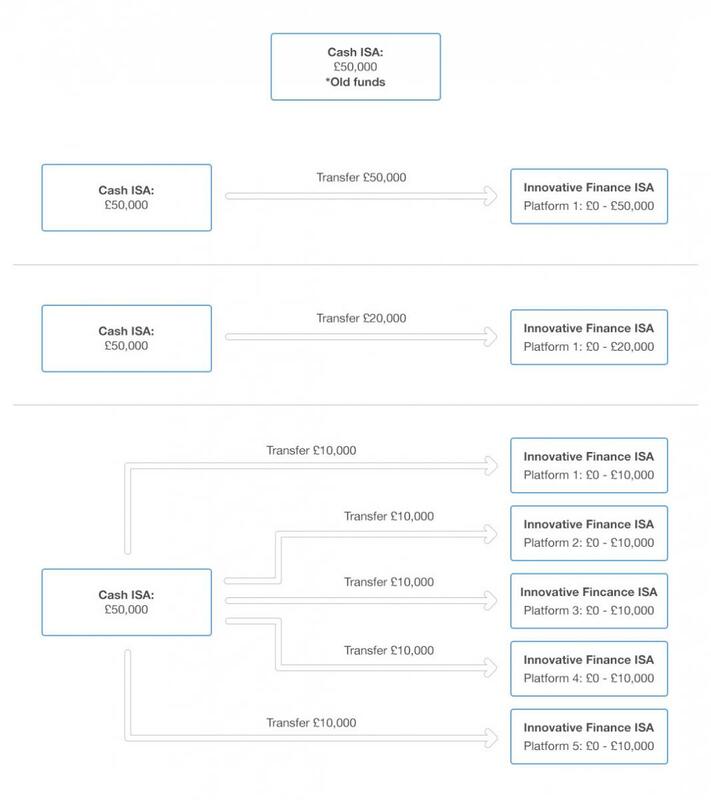 There are now dozens of IFISA providers in the UK – almost all of whom are P2P lending platforms, hence the commonly-used references such as ‘peer-to-peer lending ISAs’, ‘peer-to-peer ISAs’ and ‘P2P ISAs’ to describe this product. These providers offer you the opportunity to lend money to consumers, businesses, infrastructure developments or other projects, and enjoy tax-free interest on repayments in return. Already there is a high degree of diversity within IFISAs, and, as the sector continues to evolve, the vast array of options available to investors is set to increase. The IFISA is not necessarily exclusive to P2P lending (or ‘loan-based crowdfunding’, as it is sometimes referred to), and there is a suggestion that equity-based crowdfunding could be included at some point in the future. However, at this time, the P2P lending sector continues to dominate this ISA category, thus giving it a high degree of prominence. Prior to the launch of the IFISA in 2016, all investors were required to declare P2P income to HMRC, typically via a self-assessment tax return, with the gains being taxable at the individual’s marginal rate. The advent of the IFISA thus, for many investors, takes P2P income out of tax completely. In this section, we summarise the key benefits of the IFISA, along with another useful tax efficiency. What are the main benefits of the IFISA? Quite simply, the implications of opening an IFISA from a tax perspective are significant. Being able to shield all P2P income from tax is music to the ears of investors and up to £20,000 can be subscribed each year across all three ISA categories. Bear in mind, too, that the annual ISA allowance doesn’t include transfers of ISA funds accumulated in previous years (discussed in further detail in Section 3), nor does it include interest earned and compounded, so all gains can take their place in the wrapper without ‘using up’ any part of an individual’s ISA allowance. What returns are achievable within the IFISA? Rates of return on these high-interest ISAs vary significantly, although usually an individual can expect to earn between 4-7 per cent from an IFISA offered by the major peer-to-peer lending platforms. As is the case with any form of investment, higher-yielding IFISAs are available but tend to carry greater risk. Although the issue is subject to individual platform discretion, most P2P platforms offer the same headline rate of return on IFISA-wrapped P2P loans and ordinary P2P loans, so choosing this type of wrapper carries clear, comparable gains in this respect. Taxation on P2P returns can also be further reduced - or even completely removed - from tax by virtue of the Personal Savings Allowance (PSA). The PSA means that, for basic-rate taxpayers, up to £1,000 of savings interest and/or P2P income can be shielded from tax each year. For higher-rate taxpayers, this figure drops to £500, while additional-rate taxpayers are not entitled to a PSA. Based on typical P2P earnings of 5% p.a., this would allow up to £20,000 to be held outside an IFISA tax-free. You should note that the Personal Savings Allowance is completely independent from an ISA, and you can take advantage of both separately. All individuals over the age of 18 who are resident in the United Kingdom (or a Crown servant or their spouse or civil partner) are eligible for a tax-free ISA allowance each financial year. This 'subscription limit' has increased significantly in recent years, most notably since the launch of the 2010/11 financial year. At the start of that period, the ISA allowance was increased from £7,200 to £10,200, and nine years later this allowance has soared to £20,000 (unchanged for the 2019/20 tax year). This limit can be used for subscriptions across any or all of the three categories of ISA, though it’s important to remember that this is a collective total. So, if you've already exhausted your ISA allowance with subscriptions to cash and/or stocks & shares ISAs, you'll have to wait until the following tax year to contribute to your IFISA. While P2P lending is generally very straightforward, there are regulations which are standardised for all ISA types and it is worth educating yourself on the most relevant rules. In this section, we’ll cover all of your questions pertaining to the finer complexities involved with transferring ISA funds both into and out of your IFISA – along with other nuances such as the number of IFISAs you can hold and the limitations for subscription of funds into them. Can I transfer existing P2P loans into an IFISA? Unfortunately, due to rules imposed by HM Treasury, there is no mechanism through which pre-existing P2P loans can be directly transferred into a new IFISA. However, that doesn’t mean that you're out of options. If your P2P platform operates a secondary market, you could sell your existing loans to other investors and then subsequently transfer those funds into your new IFISA for investing in new loans. Bear in mind though that most platforms will charge a fee for the sale/reassignment of loans to other investors. Alternatively, some platforms, including Lending Works, offer the option of automatically transferring repayments direct to your bank account. What you could do is direct these funds into your IFISA instead. Furthermore, if you then organise the settings such that any funds going into the IFISA are automatically invested, then you will be able to drip-feed your old P2P investments into your IFISA, and maximise interest, without having to lift a finger. While it would undoubtedly take a bit of time to get all these funds into the new wrapper, the big advantage of doing it this way is that you will be unlikely to incur any fees. How do I transfer an existing ISA? You can easily transfer any existing ISAs you’ve accumulated over the years, without affecting your annual ISA allowance. Most P2P platforms allow you to do this without charging any fees, though it’s always best to check beforehand. In addition, it’s worth checking with your existing ISA provider as they may apply transfer fees or early termination penalties if it’s a fixed-term investment. You will need to initiate the transfer process by authorising your new ISA manager (usually by completing an ISA transfer authority form) to arrange the transfer of funds from your old ISA manager directly into the IFISA held with the new ISA manager. Once you’ve submitted your transfer authority form, the new ISA manager should take care of the whole process for you. You should typically allow around 15 - 30 days for this process to be completed, depending, for example, upon whether it’s an existing cash ISA (typically 15 days) or stocks and shares ISA/IFISA (typically 30 days). You should never attempt to transfer funds between ISAs manually, as doing so may remove the ISA status of those funds. Can I transfer current-year ISA subscriptions to an IFISA? It's very important to distinguish between funds subscribed into another category of ISA during the current financial year (from 6 April to 5 April each year), and those accumulated over previous financial years. That’s because the latter is not subject to the same level of restrictions in terms of transfers. If you have subscribed, say, £12,000 into a cash ISA during the current tax year, you are entitled to transfer this balance into another ISA (e.g. an IFISA), provided you transfer the balance in full, including any interest earned on those subscriptions. In this example, your remaining ISA allowance for the year would still be £8,000 (in the case of the 2018/19 and 2019/20 tax years). Please note though that you will only be able to subscribe funds to one ISA provider in each category during each tax year. So that means, in the example above, if you then wish to contribute some or all of your remaining ISA allowance to an IFISA during the same financial year, you will be obliged to do so only into this same IFISA with your chosen provider. This is because your original subscription to the cash ISA will be deemed to have been made into the IFISA (upon transfer), and you will have been deemed to have subscribed the money to this IFISA all along in the context of ISA regulations. Can I transfer previous-year ISA subscriptions? Once the tax year comes to its conclusion, those ISA funds are treated very differently. For the purposes of this guide, we will refer to ISA monies accumulated in previous financial years as ‘old funds’. Unlike funds subscribed during the current financial year, there is no limit on the amount you can transfer, nor the number of ISAs you can transfer into, with respect to old funds. 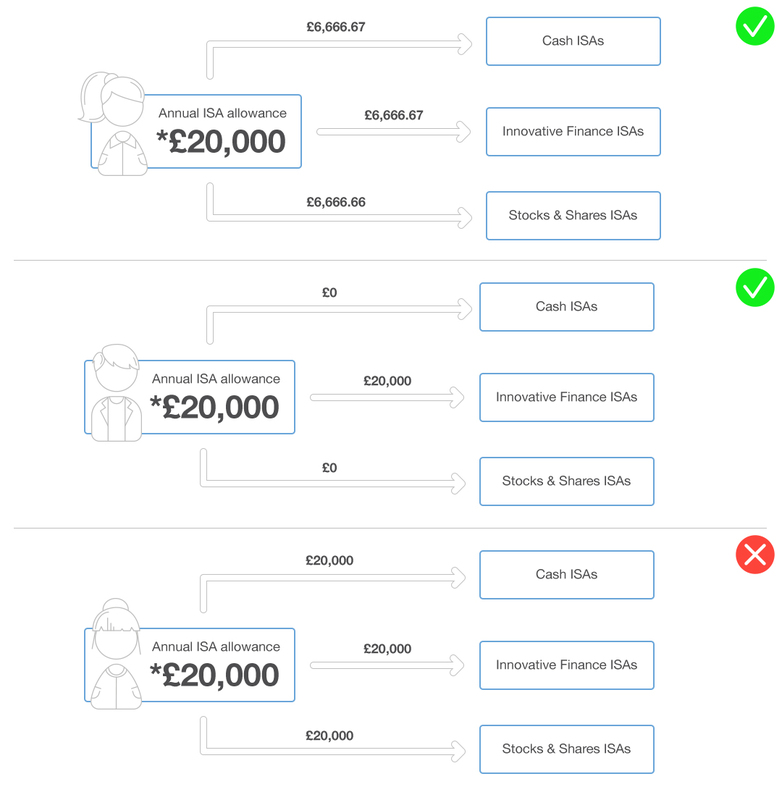 This applies to whether you are transferring between ISAs of the same category or between different ISA types. As an example, if you have accumulated, say, £50,000 in a cash or stocks & shares ISA over the years, then there is nothing stopping you from transferring any or all of this amount into an IFISA. In fact, you could transfer this into as many IFISAs, with as many IFISA providers, as you wish - all in the same tax year. There are essentially no restrictions if the funds were subscribed into any ISA in previous financial years. The same logic above will also apply in the future if you wish to transfer old funds out of your IFISA, either into a new IFISA, or into an ISA of a different category. Once again though, we must reiterate that you should request a transfer using the process set out by your new ISA manager in order to ensure that these funds’ tax-free status is preserved at all times. Is an IFISA right for me? Like most investments, it’s up to the individual to make an assessment of risk versus reward, and make an informed decision from there. But the competitive and stable returns offered by prime platforms in the UK have already been a key driver of P2P lending’s exponential growth. In addition, high standards of loan underwriting and a steadily developing track record are seeing it stack up more and more as a standout asset class. It’s important to note before investing within an IFISA that, as with all investments, your capital is at risk and is not covered by the Financial Services Compensation Scheme (FSCS). Investing in an IFISA is not the same as saving within a cash ISA, which offers more security but for typically lower returns. Platforms mitigate the increased level of risk with security measures of their own, for example using security, provision funds and even insurance against borrower default, but ultimately it is important that every investor is aware that returns are not guaranteed. The dawn of the ISA era in P2P lending has been a watershed moment for the industry, and it comes as little surprise that many experts are predicting that the UK sector will soon skyrocket to £50bn as a direct result of the Innovative Finance ISA. Some 31,000 new IFISAs were opened in 2017/18 (a six-fold increase on the year before), and this upward trend is expected to continue for 2018/19 and beyond. The arrival of the Innovative Finance ISA, coupled with the additional boost of the Personal Savings Allowance, makes P2P investing even more appealing, with more pounds ending up in the pocket of the investor – exactly where they belong. And at a time when low interest rates and market volatility across various asset classes look set to continue for the foreseeable future, the prospects for the industry and its consumer investors, particularly with the tailwinds of the IFISA in its sails, look very positive indeed. This guide has been prepared by Lending Works Limited. The tax benefits of an ISA are set out in the ISA Regulations 1998 (as amended from time to time) and any HMRC rules and guidance in relations to ISAs including but not limited to the HMRC Guidance Notes for ISA Managers. The value of the tax benefits will depend on your individual circumstances and tax laws may change in the future. The information above is intended as general guidance and information. Nothing in this guide is a representation to you of the tax benefits of an ISA. You should seek advice from a financial or tax advisor in relation to any questions you have around taxation.